Sorry for the lack of posts the passed couple of weeks, it's been crazy. Anyways it's time to make up for some lost ground. 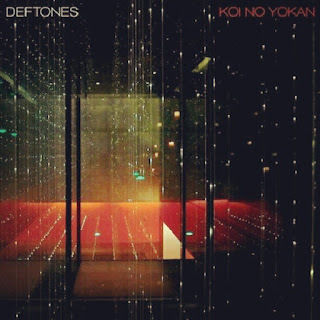 Album of the Week #3 has got to be newly released Deftones record "Koi No Yokan". It's an absolutely atmospheric piece of art, weaving in and out of agressive and ambiant threads. You can check out my full review of "Koi No Yokan" here. It's definitely one of Deftones' finest offerings in quite a while and should be listened to as a whole. The entire album and one cohesive and organic work. "Entombed", "Poltergeist", "Swerve City", "Rosemary", and "Goon Squad" are among my absolute favorites on the album.